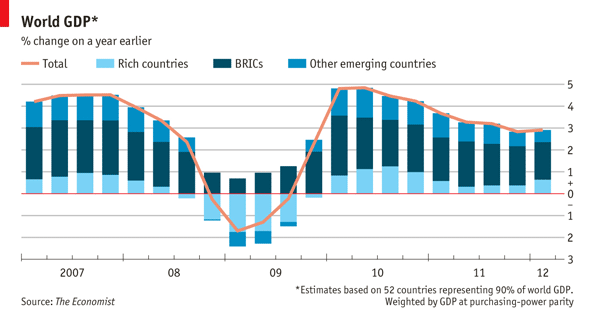 Let’s get going with some big terms and basic insights on emerging markets/countries. Since a couple of years different terms are being used to talk about countries in this process: Newly Industrialised Countries, Emerging Economies, Rapidly Developing Countries, …. The largest developing countries are mostly specified by the term BRIC that stands for Brazil, Russia, India, and China,along with BRICET (BRIC + Eastern Europe and Turkey), BRICS (BRIC + South Africa), BRICM (BRIC + Mexico), BRICK (BRIC + South Korea), Next Eleven (Bangladesh, Egypt, Indonesia, Iran, Mexico, Nigeria, Pakistan, Philippines, South Korea, Turkey, and Vietnam) and CIVETS (Colombia, Indonesia, Vietnam, Egypt, Turkey and South Africa). 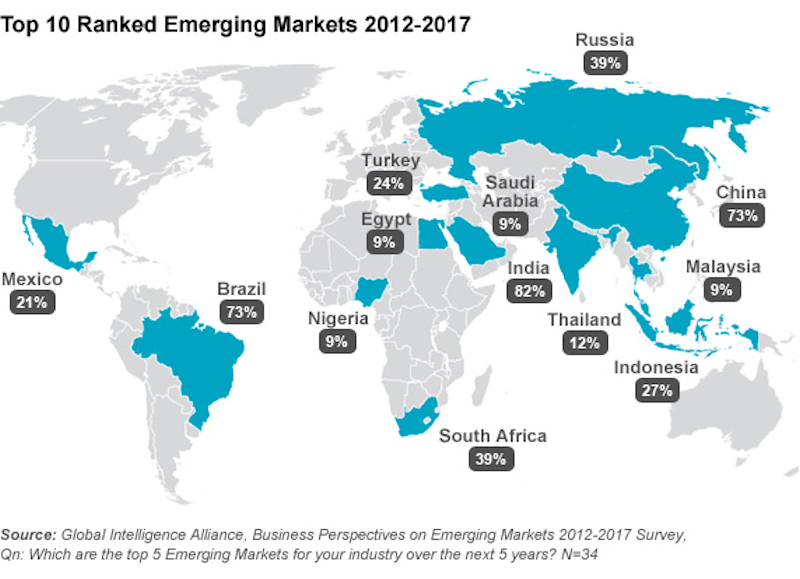 If you’re looking for opportunity then you have to look at these emerging/new markets. How to implement an introduction or growth strategy in these new markets can be a bumpy road! If asked at CEO’s worldwide (in a study from Deloitte) they come up with these conclusions and recommandations. The greatest success in emerging markets doesn’t come from simply establishing a sales office and selling their existing products and services. Instead, it are the special requirements of customers in each emerging market and the designed offerings to meet their needs at market appropriate prices that are key success factors. Another key ingredient in success is to establish company-owned production, service, distribution, R&D and other operations in emerging markets to become closer to customers and part of the local business community.